We've now got a few of our self-published titles available on our shop at Etsy.com. This includes several of our anthologies and "mini-mini-comics". The Mouse of the Atom is back, and this time, he brought friends! Atomic Mouse sets out on three full adventures, including a meeting with Jack Frost, a scheming cat in disguise, and stopping some crooks from using the new Jet-Mobile machine in their latest caper. Plus, short stories involving some of the rest of the cast with Professor Invento, Count Gato, and fellow superhero Happy the Magic Bunny. Atomic Mouse crashes in for more fun with this Classic Cartoon Critters collection! You can download this now at Drive Thru Comics and Lulu.com. 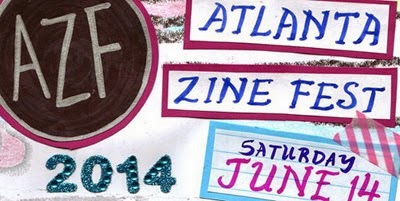 We've got a table at the next Atlanta Zine Fest on Jun. 14 at the Erikson Clock on 364 Nelson St., Atlanta, GA. 30313. 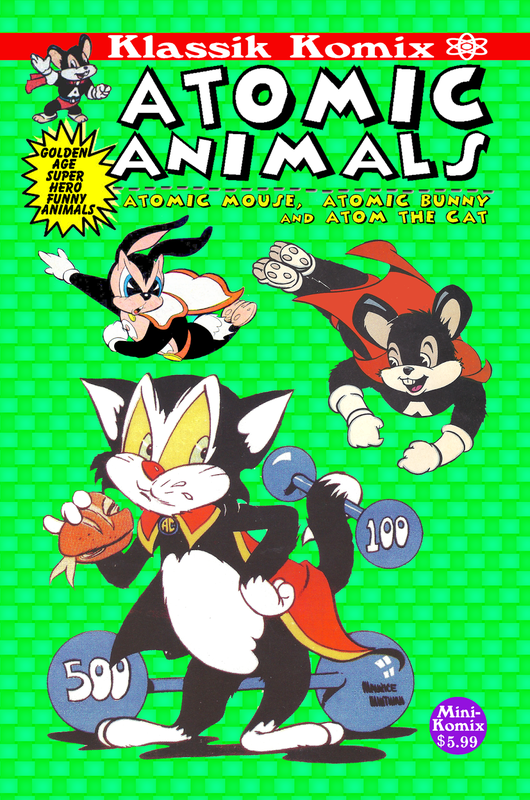 Klassik Komix carries on its line of Golden Age comics with this atomic title, Atomic Animals. Some of the original funny animals characters in comics were in fact superheroes! 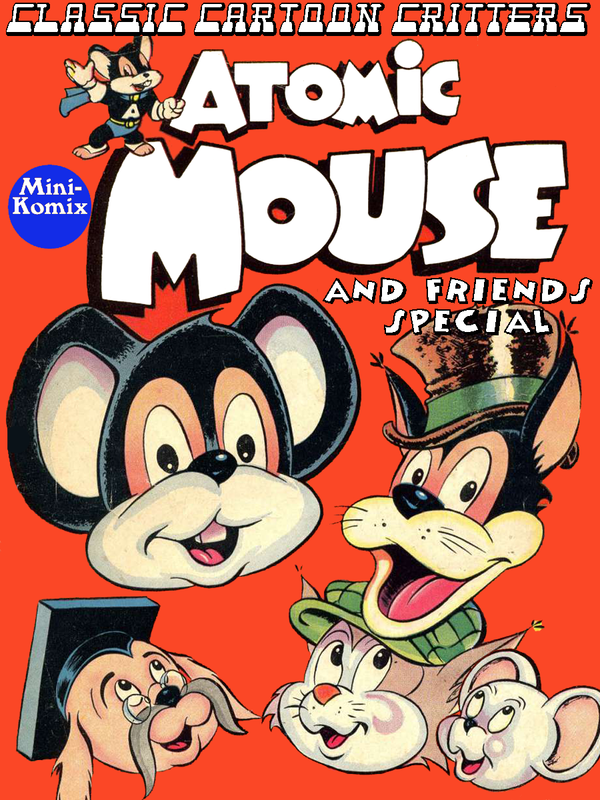 This series collects some of the best from this atomic age with several "tails" of the legendary Atomic Mouse, a normal mouse given mighty superpowers thanks to an atomic pill he takes to defend his fellow mice from the machinations of the hornswoggling Count Gatto. Also included is the heroic Atom The Cat who is gifted with extraordinary abilities and uses them to promote peace and the pursuit of knowledge. Plus, some of the amazing Atomic Bunny who bounces bank robbers and travels through space. Nuclear hijinks ensue as this trio of titans soar off into all ages fun for everyone! You can get this directly from us, or from Lulu.com.